Which Advertising Platform Works Best For Your Business? We are so lucky to be living in this effervescent digital age that allows businesses of all sizes to thrive on campaigns run exclusively through online advertising platforms. Whether you’re a small business owner or the CEO of a multinational company, you need to reach customers online, where they are spending their time. With lowered-priced smartphones and free WIFI, more and more people are turning to the internet, rather than watching TV or engaging in other entertainment media. Zenith Media predicts people will soon be spending more time online than on any other major media (TV). So, your job is to make use of this great opportunity, find an advertising platform that works for your business, launch your campaigns and…sell. 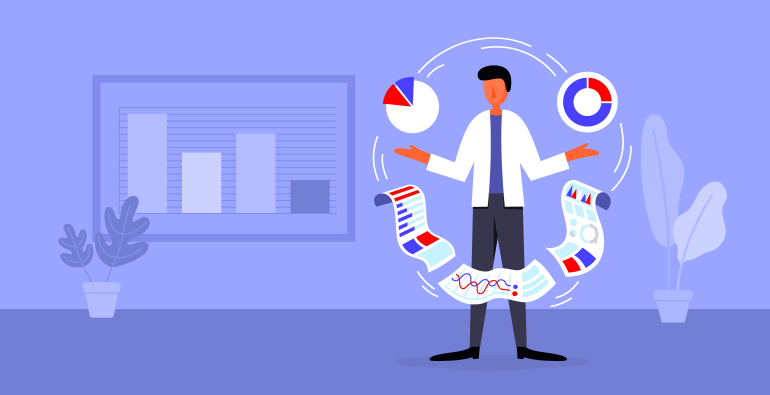 But first, you need to know a few things, like business type analysis, targeting and matching customer intent with ad message by structuring your campaigns on sales funnel stages. Follow me as I present you the facts and stats for all major online advertising platforms and what benefits would you get from working with each one of them. Is it a local business or a worldwide corporation? Do you sell products that can be ordered online and shipped to the destination? Do you sell online services like consultancy? Or maybe you have a web-based app offering services such as cleaning, taxi, or language courses? Who is your target? Is your product addressing women, men, teenagers or perhaps children? There’s an audience for each product or service and there’s an advertising platform that can help you reach that group of people. Your job is to match your business’ needs with what a platform has to offer. After you have analyzed your business, it’s time to examine your audience. A. First thing, see who your current customers are, what are their ages, genders, locations, and interests. 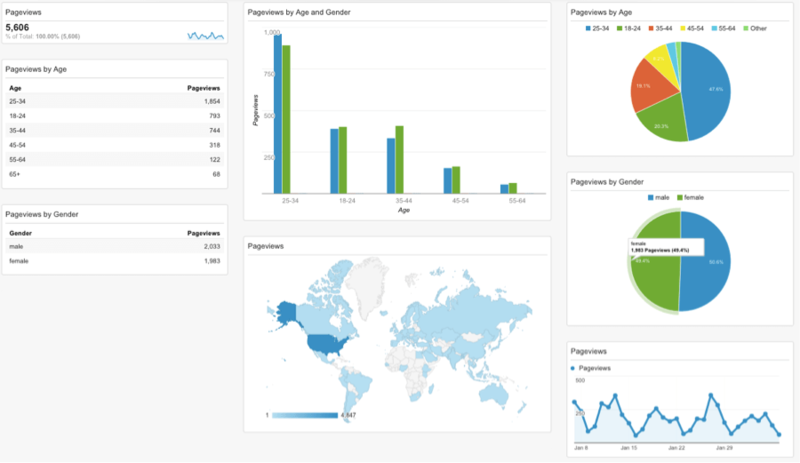 Have a look at your Google Analytics data and get to know the people who visit your site, interested in the products/services you offer. What are they interested in – what keywords do they use to find you. Another way to get to know your customers is to run periodic customer feedback questionnaires online and offer rewards. Or gather your customer support team and let them tell you about the people who order your products. They speak with them via text or calls on a daily basis, they must be able to provide you with some common customer characteristics, behaviors, and expectations. B. Next, see who your competitors’ customers are. Try to understand them. There are many tools out there offering valuable information on competitors SEO analysis, providing data such as ranking comparison and the main keywords they use. SemRush – this company prides itself for being an all-in-one marketing toolkit and you should believe them. You won’t find better analyses anywhere else. AhRefs allows you to analyze any URL’s organic keywords and gives you an estimate of the organic traffic for those keywords. MozBar – this Chrome plugin should be a must for anyone working in online marketing. This tool gives you instant metrics for any page or SERP: Page Authority, Domain Authority, Follow, No-Follow, External and Internal links. But, I’d advise you to simply spy on them on Social Media. Spying on your competitors on Social Media is still legal ( :D ) and you’d gather a whole bunch of insights by just reading the people’s opinions in the comments section. C. Define your potential customers. With online advertising, you can reach people interested in specific activities or products/services. 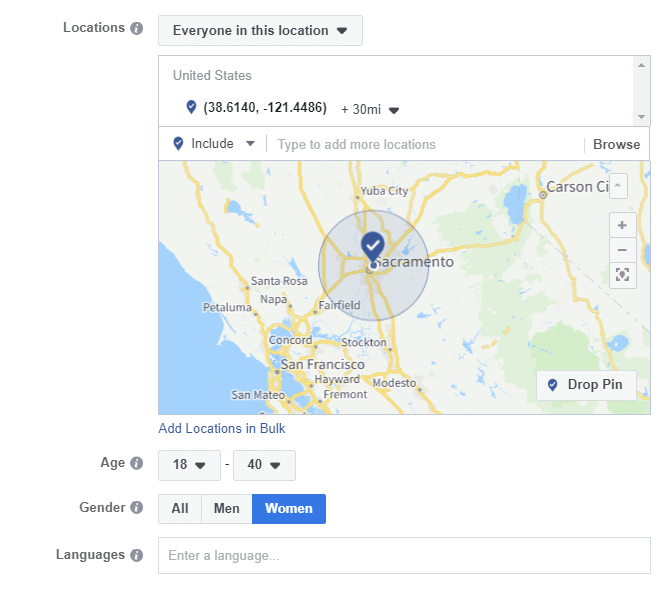 All big online advertising platforms (Google Ads, Facebook Ads, Yahoo) allow you to create custom audiences, by choosing your preferred demographic data like age, gender, location, interests. Let’s take a look at this success story, for example. Missouri Star Quilt Co. started as a family business in Missouri, USA, and thanks to targeted video ads campaigns on YouTube they grew into today’s largest quilting business in the world with an annual revenue estimated at $40 million, coming from online sales. So you see, YouTube advertising is great to reach people interested in niche activities, like quilting, surfing, graphic design, poetry and so on. As part of the Google giant, YouTube benefits from Google’s customer database. What does this mean? Google keeps track of every search we perform, the sites we visit and even the actions we take on those websites. With this abundance of information, Google is able to match businesses’ custom audiences settings with people’s interests and show them the video ads about products they’re highly likely to buy or at least be interested in. People who visited your competitors’ websites. People who use/installed apps from the same industry as your brand. Right before choosing your online advertising platform, you need to define your marketing objective. Do you want to introduce your brand to the world? Or do you have a well-established brand and you want to direct people to your product pages? Define your goal. In fact, all major platforms will ask you to choose an objective before you proceed to upload and launching your video campaign. Depending on the goal you choose, they will provide you with various tools to build your ad and message. There’s also another perspective to look at marketing goals. Try to understand your customer’s stage in the sales funnel and create video ads to meet their specific level and intentions. 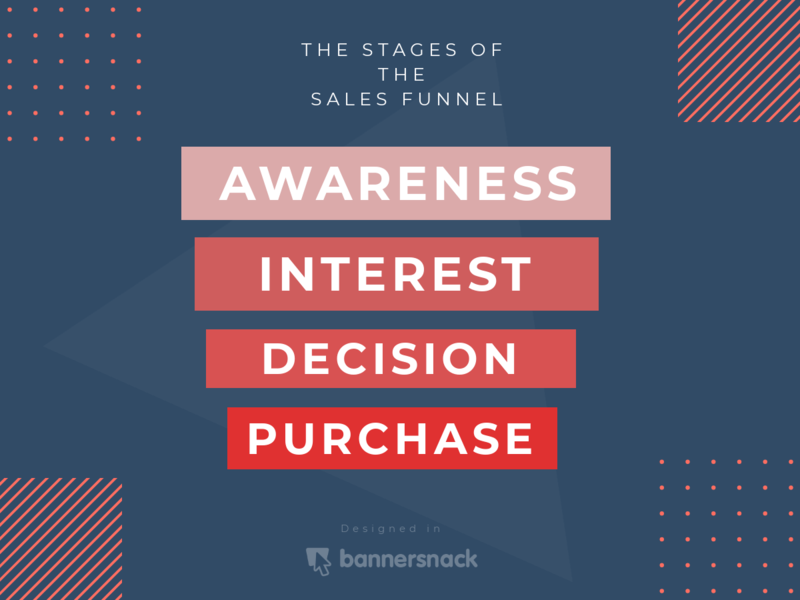 Generally, a customer will go through all the stages of the decision process starting from the moment he had his first contact with a product until the purchase. If you’re targeting a new group of people that is not familiar with your brand, you’d better start from the awareness stage and take it slow. Produce a video that presents your product, its benefits, your contact details, and website. If you’re targeting your fans on Facebook, for example, you need another kind of approach. They already know your product, have probably bought it before and they’re following you on Facebook to keep up with your news and product releases or promotions. Thus, you should go straight to the purchase stage and promote your discounts and deals. 4. Which advertising platform works best for your business? 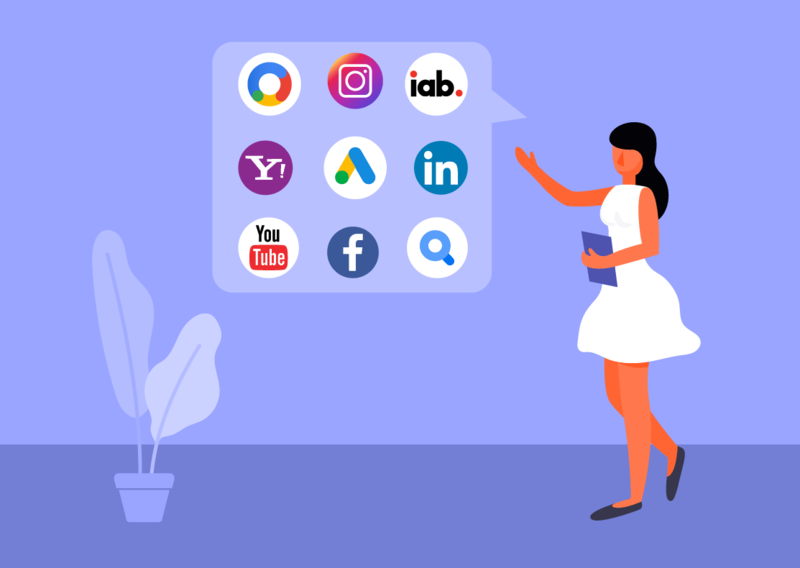 And now, let’s get to know some of the most important online advertising platforms, that could help you promote your business in a grand way, win new customers and increase your sales. This year, Google ran a complex change to make its marketing products more simple and accessible to the users. They rebranded Adwords into Google Ads and launched the new Google Marketing Platform and Google Ad Manager, which are actually the result of several key product mergers. 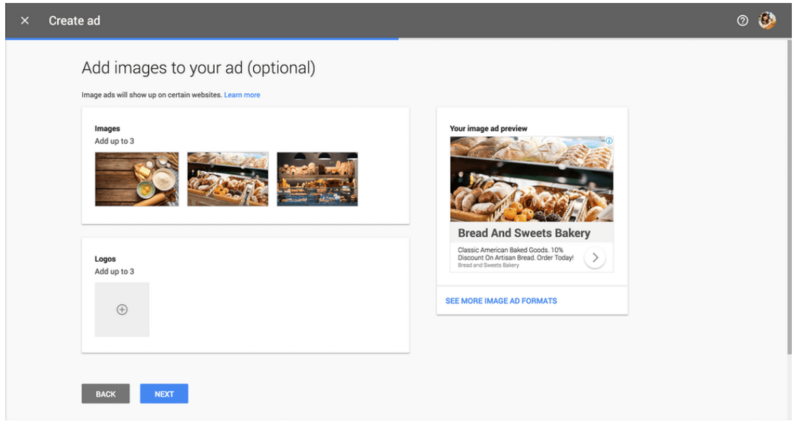 With the new Google Ads, running an advertising campaign becomes a smooth process for both small business owners and multinational corporations. In fact, the digital giant says their updates transferred the hard work from the users to their system, thanks to advanced machine learning technology. For you, this means less time spent deciphering Google’s settings and also better results. Now, as the world’s most popular and used search engine (3.5 million search queries every day), Google is considered the leader in online advertising. It is the no. 1 go-to platform whenever you want to drive traffic, convert or boost sales. Google offers access to a huge mass of people who are actively searching for products and services online. It would be a mistake not to integrate Google advertising into your marketing strategy, and I will explain why below. With Google, the possibilities to advertise your products/services are endless. From text ads shown right on top of search results to in-stream YouTube videos ads, you can reach countless potential customers who have shown interest in your industry. Thanks to Google’s broad range of marketing services and costs, small business like the one of Suzie Mills can now advertise its services and get found online, without investing all its monthly revenue. Your business can bloom in the same way. With search text ads, your ads will be shown above or below the search results. Google recently updated the format of these ads to include more information about you for the same price: three titles, a display URL and a description. Google’s Display Network works with 2 million websites, news sites, blogs, and 650.000 apps as part of their display network. Gmail and YouTube are also included in the package. What does this mean for you? It means that Google will match your ad audience settings with visitors interested in your product, when they access any of these websites and apps, when they check their mail or watch a video on YouTube. What’s even better, with display ads you can use interactive or rich media banners to stand out and appeal to users browsing the web. 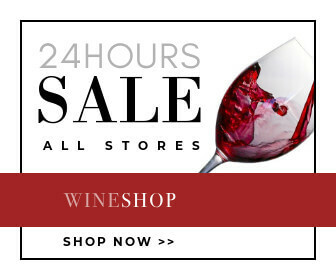 With all-in-one tools like Bannersnack, creating an eye-catching banner ad is an easy-peasy job. With video ads, you step up to a completely new level. You get more time to tell your story visually, which increases your chances to convert and sale. 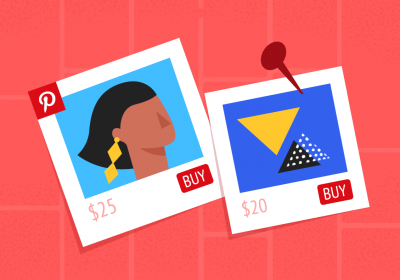 You pay if a viewer engages in other video interactions, such as clicks on the call-to-action overlays (CTAs), cards, or companion banners, or on the video thumbnail for video discovery ads. Video performance is totally trackable and measurable with TrueView ads, which means you can check on the views, costs and budget details. You can do that in the “Analytics” tab of your YouTube or Google Ads account. If you don’t like their performance, you can stop the campaign at any time. TrueView in-stream video ads – Use this format when you want your video ad to appear before, during, or after other videos on YouTube and video partner sites on the Google Display Network. Discovery video ads – You can use this format to reach people when they search for something on YouTube or across the web. 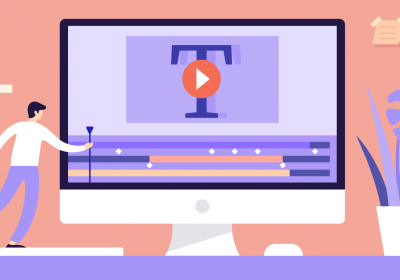 Outstream videos – As the name suggests, this format allows you to reach people outside of Google, on their partner websites and apps. Bumper video ads – 6 seconds non-skippable video ads used mostly on YouTube but also on other partner websites. YouTube is currently the world’s second largest search engine and the first video platform people choose to watch video content. From movie trailers to music playlists and snippets of The Tonight Show with Jimmy Fallon, we all go to YouTube every single day. In-stream videos – video ads before, during, or after other videos on YouTube and across the Google Display Network. After 5 seconds, the viewer has an option to skip the ad. Discovery video ads – These videos are promoted in places of search, where they can easily be discovered: in YouTube search results, as related videos or on the mobile homepage of YouTube. Bumper ads – 6 seconds non-skipable video ads during the main video. 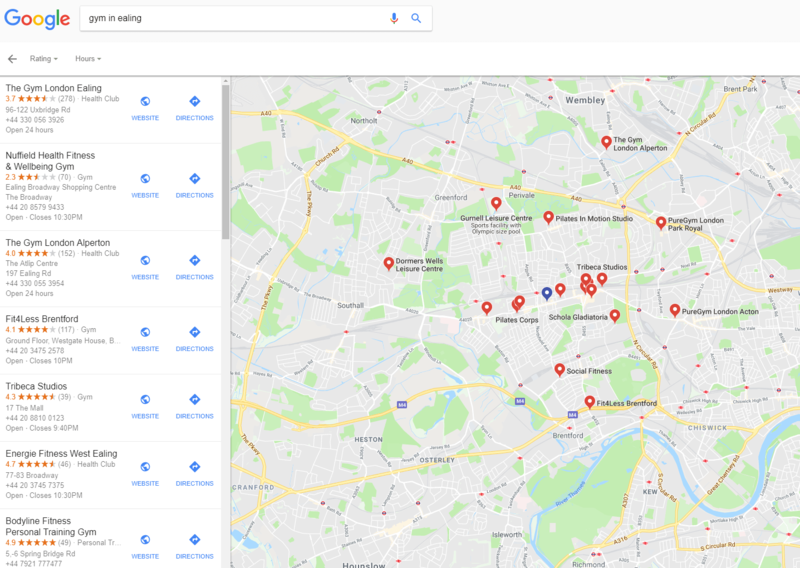 Get listed on Google Maps – Once you set up your Google My Business account and type in your address, you’ll be listed on Google Maps. This means that you increase your chances to be discovered whenever someone performs a search related to your industry. For example, someone is looking for a gym in their neighborhood. 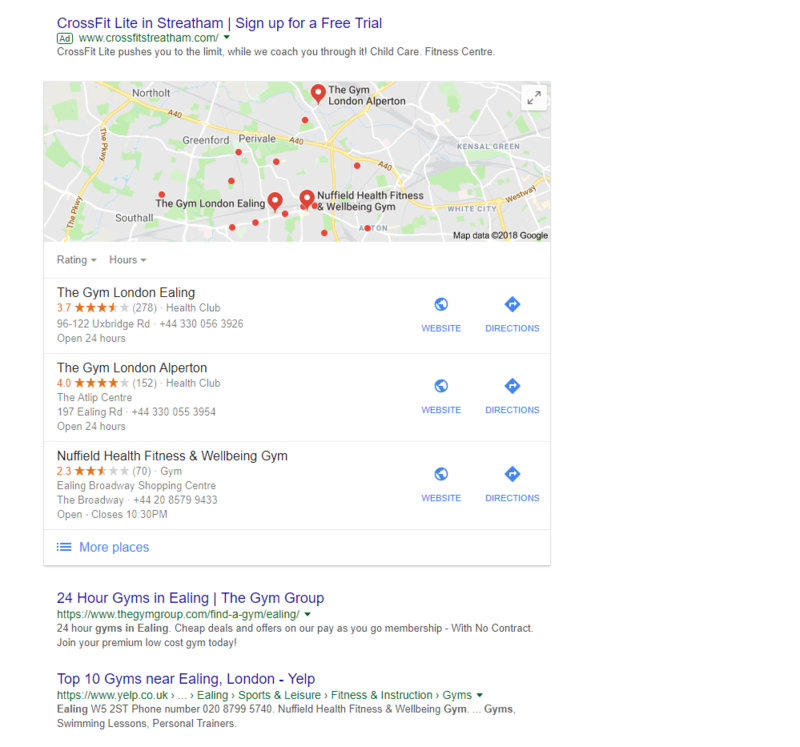 Your gym will be shown as a result in Google search and on Google Maps. With Newsstand ads, you can reach people while they’re sipping their coffee and reading the news, early in the morning, or at whatever time they reach for their mobile and access the news app. Newsstand is also a great placement because each person receives personalized news and ads benefit from the same customization system. With 2 billion people using Facebook every month and 500 million accessing the mobile Instagram app every day, the Facebook Ads advertising platform is the second online arena every marketer should go to. People share on Facebook their most intimate details, such as relationship status, wedding photos, baby’s first intrauterine picture, career changes, accomplishments and so on. They also search for people and content, post beliefs, ideologies, values and opinions on events and celebrities. 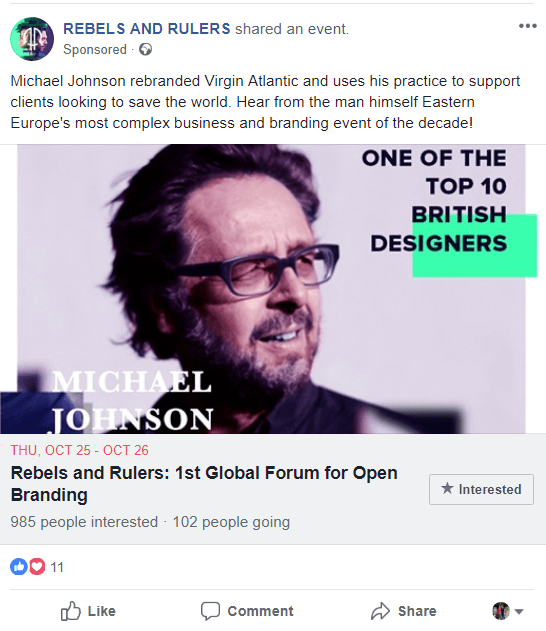 With such a wealth of information, Facebook Ads is able to offer advertisers an opportunity they cannot refuse: tailoring their ads messages to targeted audiences. 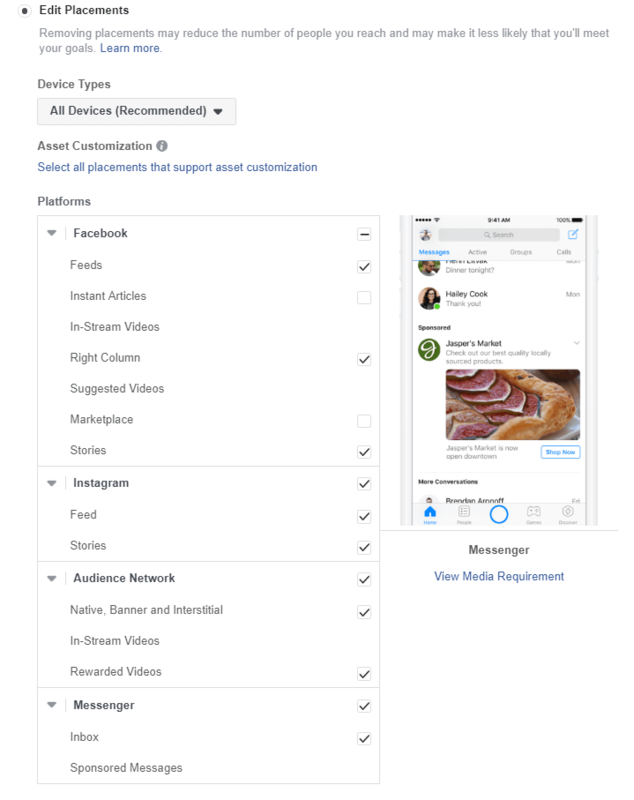 What’s great with Facebook Ads is that you can run campaigns on both Facebook and Instagram, in Messenger and on Facebook’s Audience Network websites and apps, without the need to set up multiple campaigns. By simply ticking a few boxes you can select your ads’ placements and the positioning within the platform. The platform’s audience setting surpasses any marketer’s dream about reaching potential customers and this is why they prefer combining Facebook Ads with Google Ads or email marketing tools. What was once inconceivable, Facebook Ads now makes it possible. The system allows businesses to target people based on their location, age, gender, interests, beliefs, liked pages, political choices, diets, favorite sports, the music they listen, job, and relationship situation. 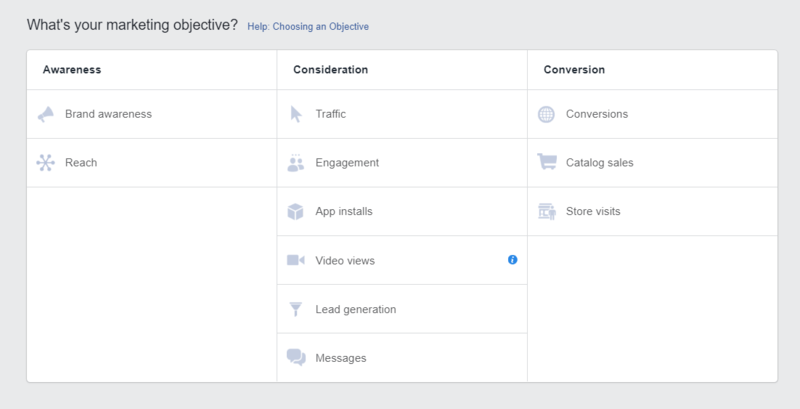 One of Facebook Ads’ most powerful tool is the “Lookalike Audiences” setting. This mechanism allows advertisers to upload customer contact databases to Facebook which in turn performs data scanning and filtering of its users and provides the marketers with lists of people that are highly similar to their customers. Age – This is a basic audience targeting indicator, but it’s worth mentioning and considering, especially if you’re selling products like teenage clothes, retirement plans or university courses. Gender – This is also a segmentation worth considering if you’ve got a product for women only or specifically addressed to men, like shaving foam, for example. Location/s – You can select specific locations around the world to run your ad using the “Drop Pin” option. Look at the example below to see how it works. I choose Sacramento, US, as the main location with a 30 miles radius. Languages – You may want to target English speaking people only or people speaking a variety of languages. This option is available too. Interests – You may already know, or at least assume your potential customers’ interests. 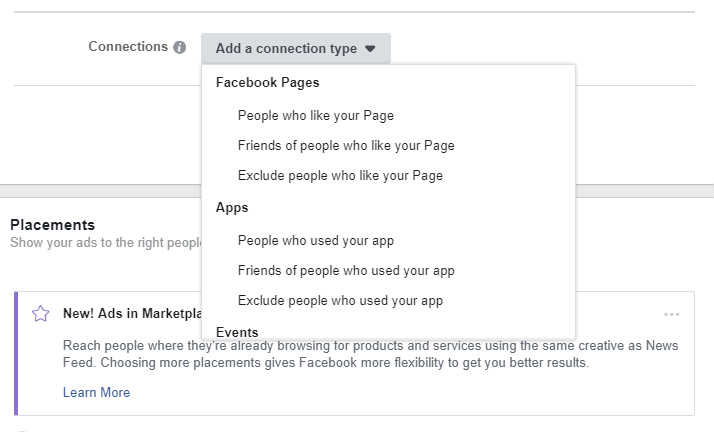 Facebook Ads allows you to target people based on the interests they’ve shown on Facebook: the pages they liked, the posts they liked, the content they’ve shared, their posts, events they attended and groups they joined. Pretty awesome, isn’t it? 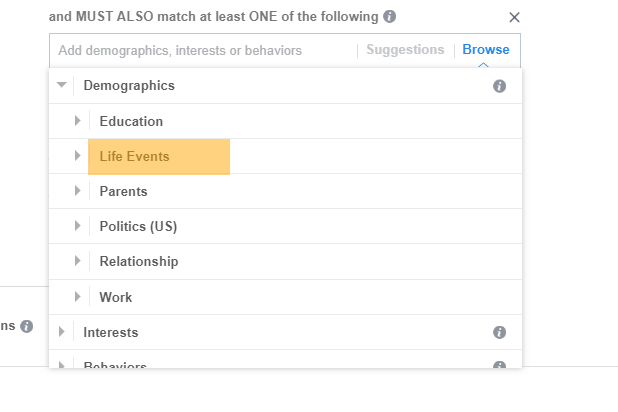 Connections – You can break down the audience using the type of relation they have to your page, app, and past events. Life Events – Not many marketers know about this option, so you’re now one of the selected fortunate few who do know. Yes, you can target people based on their declared life events, be that engagement, marriage, the graduation of a school or baby birth. Let’s take this case, for example: you’re an online baby clothes shop and you want to reach moms and moms-to-be, living in a specific location, to see your ads. 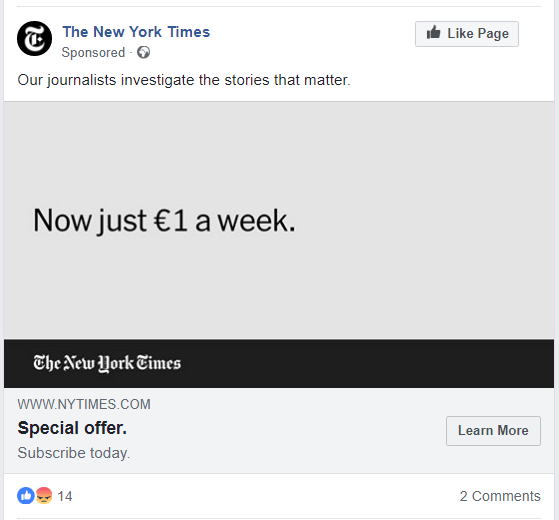 You can do that with Facebook Ads. There are multiple ways you can advertise your products or services through Facebook Ads. You can run video, photo or text ads. Using a combination of photo, text and link you can promote your business on Facebook News Feed, Instagram News Feed, Facebook and Instagram Story, in Messenger and on Facebook Ads’ selected websites from the Audience Network. There are various size and recommendations for photo ads, depending on the placement you choose. For example, photo ads for the News Feed may have different dimensions and recommendations than a right side column ad or a Messenger ad. Learn more and Facebook photo ads here. With Facebook video ads you have more time and resources to tell your story. With video you also increase your chances to get noticed, engage users and convert. Audience Network videos – in-stream videos running before, during or at the end of a main video on a website part of the Audience Network. Learn more about video ads on Facebook Ads here. Here’s a success story from French fashion and homeware store, La Redoute. Instead of uploading their own photo ad, they decided to test Facebook Ads’ automated suggestions. They went for the dynamic carousel ads, which automatically served product suggestions to people who may be interested. 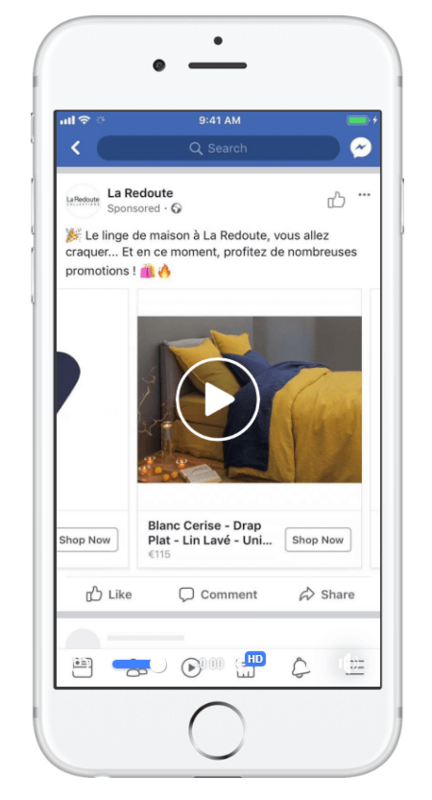 The first campaign was addressed to people who had visited the La Redoute website in the past 15 days, excluding those who had already made purchases. The second one was targeted to a broader audience: people who were likely to be interested in the products the brand offered, regardless of whether they had ever visited the website. People in this category were shown products that were likely to be relevant to them. Both campaigns span over a period of 4 weeks during August 2017. 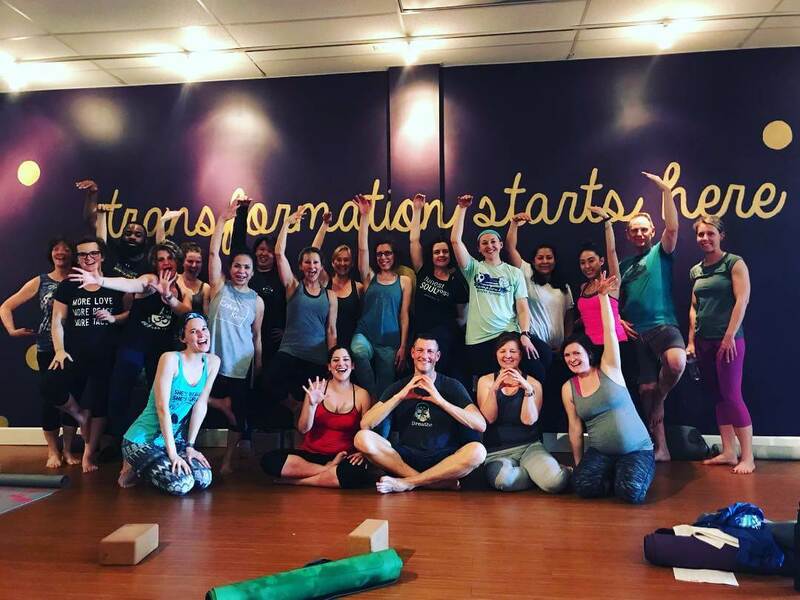 The results: 11.9X return on incremental ad spend; 6.8% increase in revenue among target audience compared to control group; $373,000 in incremental revenue; 1,444 incremental sales. 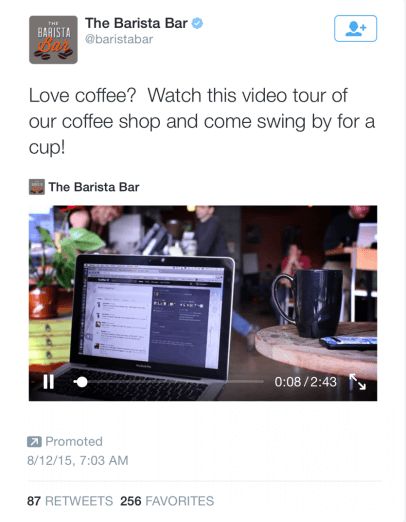 We published a blog post where we presented some cool Facebook Carousel Ads examples. ..is easy and fun in Facebook Ads. Their easy-to-read reporting tool will tell you everything you want to know about your campaign’s performance, from the number of people reached, to clicks on the link and money spent til the moment you check the performance. Also, the total amount of money spent. Before Google Ads and Facebook were invented, there was Yahoo who ruled the online world. 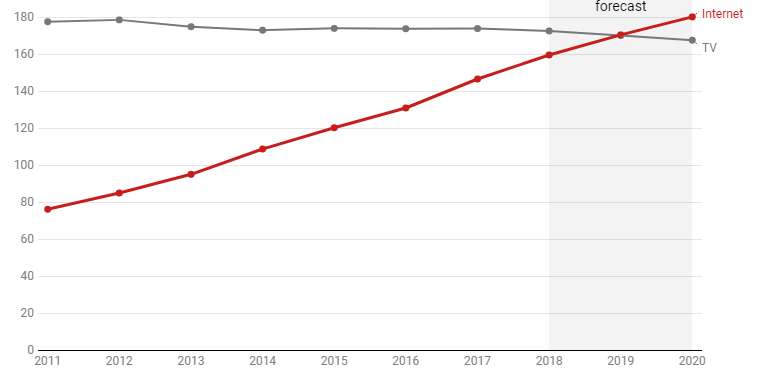 Although Yahoo is not what it used to be back in the 2000s, it still has a large and growing number of monthly users (1 billion with 225 million on Yahoo Mail alone) and a nice batch of partner sites. Yahoo’s Gemini offers search and native digital advertising on their product websites (Mail, Mobile Search, News, Sports, Finance, Celebrity, Movies, TV, Music, Travel, Homes, Autos and My Yahoo) and other partner websites. You can use Gemini to reach additional customers and introduce your brand to people, direct them to your website, or invite them to download your app. It allows you to sync your Google Ads account and it reflects any change you perform on Google Ads. It provides all the tools you need to set up a professional campaign: audience segmentation, scheduling, and budgeting. You can import your keywords documents as CSV files and use them for your campaigns. 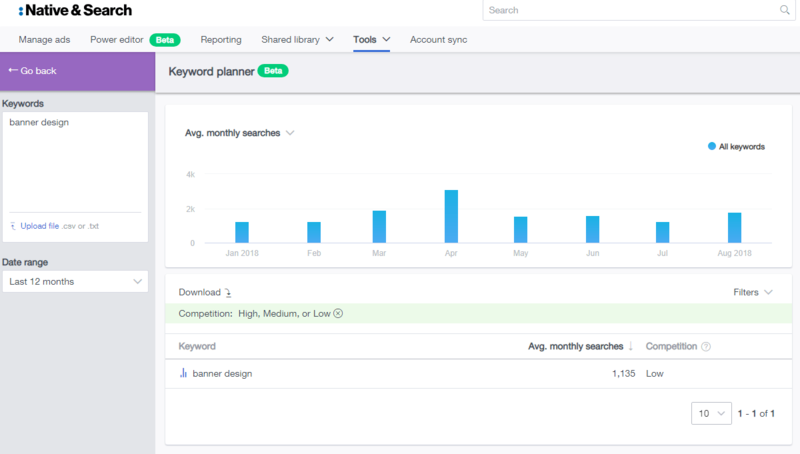 Or you can perform a keyword research using Gemini’s Keyword Planner tool. This tool only works for the Yahoo search engine. It has an integrated reporting tool which allows you to track your ads performance. 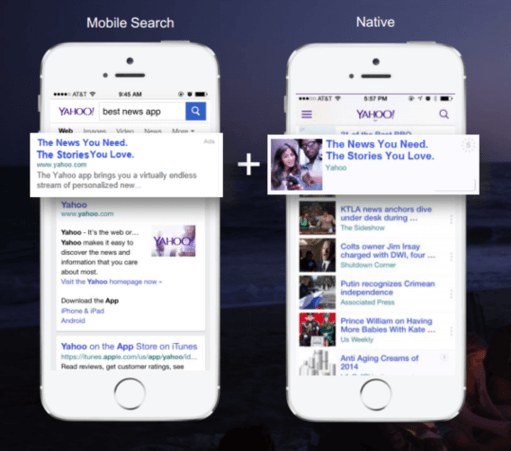 Yahoo Gemini offers mobile search advertising and native ads, which are actually display ads. With 336 million monthly active users worldwide, Twitter is an option worth considering. 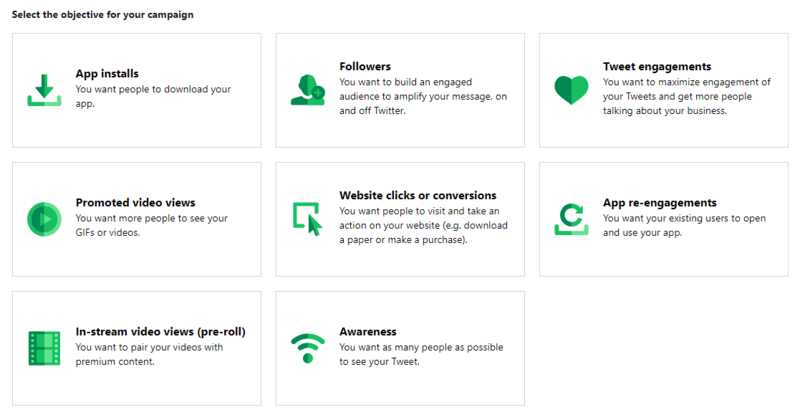 Twitter campaign ads are similar to all the others, meaning you can target your ads to a selected audience, you can set a specific marketing goal and analyze the performance using their tracking tools. 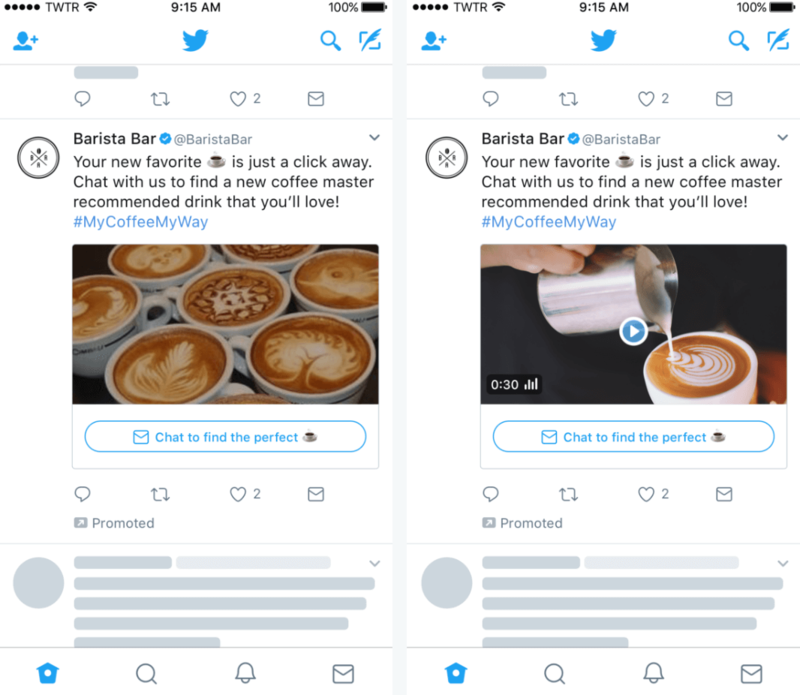 With Twitter ads you can reach people interested in connecting with others, keeping up with hot trends and topics, and looking for new discoveries. LinkedIn is the world’s largest professional platform with 560 million users. According to their website, 4 in 5 LinkedIn users drive business decisions. If you have a B2B business, this platform is great for you. Let’s say you’re selling business consultancy or leadership training programs. 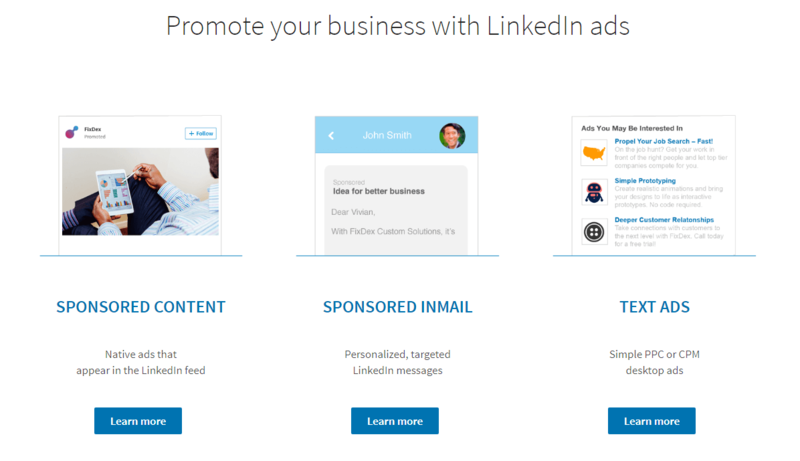 With LinkedIn ads, you’d be able to reach professionals in your area or worldwide interested in developing their business and growing their skills. For advertisers, Nativo offers exclusive ads formats and premium publishers websites placements. For media companies, Nativo provides a complete native technology stack that makes it easy to sell, deploy, and optimize native ads across their media properties expanding their revenue potential while delivering a better, non-interruptive experience for their audiences. TradeDesk is great for cross-device targeted ads, especially if you want to run retargeting campaigns. They provide an amazing set of partner sites. I’ll mention just a few of them here: Bluekai, Alliant, Webbula, Exelate, Oracle Data Cloud. At the beginning of this long (but useful) article, I was telling you about how important it is to know your business and your target audience. I’d like to finish off by reminding you to first analyze your business, your marketing objective, business needs, and potential customers before jumping to launching an online campaign. Either you want to work with one advertising platform, or combine them to see different results, it’s your choice, as long as you can cover the budgets. But always keep this in mind: thanks to advanced machine learning technologies and customers data, online advertising (unlike TV) has the potential to help you deliver your messages to people that are highly likely to be interested in your products/service. Take advantage of this opportunity that lies at the click of your mouse!